Savor the awesome of Italian-baked goodness and let your taste buds venture on something savory without breaking the bank. 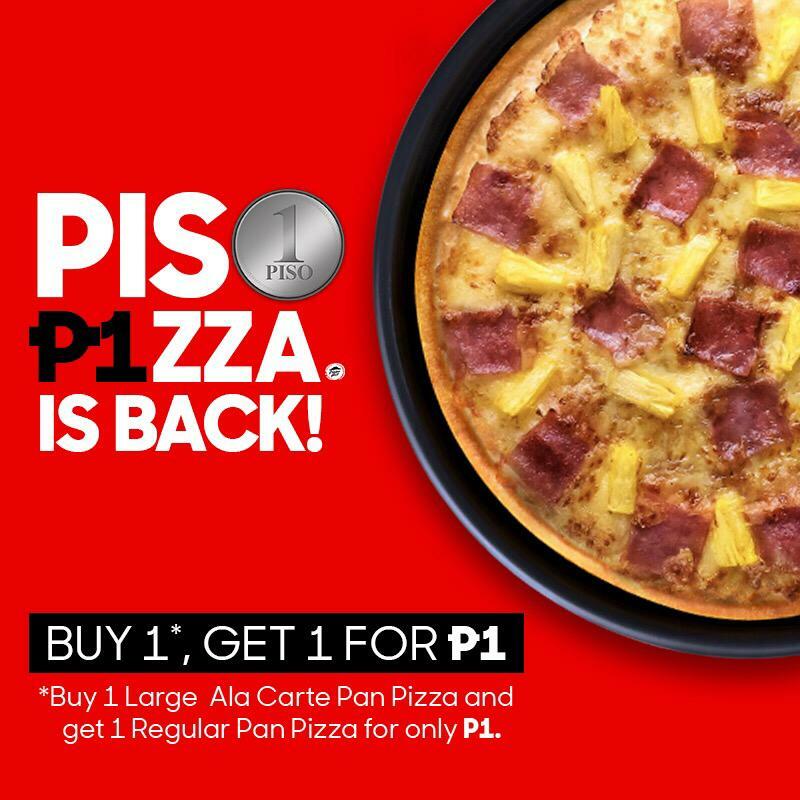 Piso Pizza Promo at Pizza Hut lets you indulge a Regular Pan Pizza for only PhP1.00 when you order one (1) Large Classic or Specialty Pan Pizza ala carte. 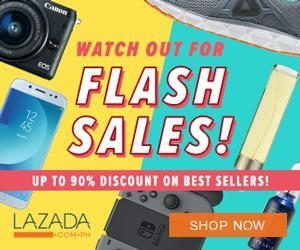 The promo is available until April 14, 2019 and valid for delivery orders only. 3. Delivery orders are subject to P40 delivery charge. 4. Pizzas cannot be upgraded to any Stuffed Crust Pizza variant. 5. Promo is not valid in conjunction with other existing promos. 6. Promo is available in all stores nationwide. 7. Senior Citizen/PWD can choose either the Senior Citizen/PWD Discount or the Piso Promo Discount. Per DTI FTEB no 5399. Series of 2019. Looking for more Pizza Hut Promos? CLICK HERE and brace yourselves for an incredible food trip adventure.